Lawmakers are advancing a balanced mix of bills to boost homebuilding, fund affordable housing, and protect tenants. Fourplex in Seattle's Fremont neighborhood. Photo by Dan Bertolet, used with permission. Washington has a pioneering opportunity to enact a coordinated package of housing policies that calls on cities to share the responsibility. Tackling a housing affordability crisis calls for three main fixes: more homes; more funding for affordable homes; and more tenant protections. Impressively, Washington lawmakers have proposed bills that do all three. Alone, each of these strategies is insufficient; together, they form a balanced approach. In growing cities without enough homes for all the people who want them, building more homes of all shapes and sizes holds down average rents and prices, and that helps everyone. Increased funding for subsidies delivers more homes to those who still can’t afford what the market can provide. And tenant protections safeguard those with the least housing security—renters—insulating them from rapid change. Washington has a pioneering opportunity to enact a coordinated package of housing policies that calls on cities throughout the state to share the responsibility. Here’s a rundown. This bill would expand lower cost housing options in high-opportunity neighborhoods currently restricted to expensive, detached houses. It would mandate that cities allow “missing middle” homes—duplexes, triplexes, townhouses, and small apartment buildings—on lots within a quarter-mile of parks, schools, hospitals, transit, and zones that already allow multifamily housing or commercial uses. It would also mandate that cities zone all of their residential land located within an urban growth area to a minimum six dwellings per acre. The bill would also reduce or eliminate parking quotas for affordable housing near transit; prohibit cities from charging extra impact fees on multifamily housing; establish exemptions from legal appeals on transportation environmental analysis; and permit supportive housing wherever multifamily housing is allowed. This bill is intended to make sure the region leverages its huge investment in light rail by maximizing housing near future stations. It would require cities in which Sound Transit locates a station for its ST3 program to zone the residential land within a half mile of the station for 150 homes per gross acre. That’s a density typical of eight to ten story apartments. Further, the bill would exempt any such rezones from appeals through either the Growth Management Hearings Board or State Environmental Policy Act, in order to stop obstructionist misuse of environmental laws. Tiny houses are compact—typically 400 square feet or less—stand-alone homes with standard household utilities. They are usually portable, often with integrated wheels that allow them to be easily moved as trailers, and that portability has created regulatory ambiguities that can impede their construction. SB 5382 would authorize cities and counties to permit tiny houses as a form of accessory dwelling unit (ADU), providing an additional legalization path. SB 5383 would authorize cities and counties to permit “tiny houses with wheels to be collected together as tiny house villages,” and also allow them in mobile home communities. Located in Seattle’s Central Area, Ernestine Anderson Place (foreground) serves low-income seniors, and Abbey Lincoln Court (background) provides homes for families earning up to 60 percent of area median income. Photo by Dan Bertolet, used with permission. This bill would authorize cities and counties to recapture 0.01 percent sales tax from the state’s currently assessed sales tax and use that revenue for acquiring, rehabilitating, or constructing affordable housing; smaller cities/counties could also put the funds toward renter assistance. Cities/counties could opt to bond against the future tax revenue to generate larger, near-term funds for affordable housing. The bill would also authorize cities/counties to enact a local levy for an additional 0.01 percent sales tax to be used for the same purposes. In 2017, Seattle generated about $26 billion in taxable sales, from which a 0.01 percent tax would capture $2.6 million per year, or twice that if the city also enacted a local levy. Under state law, cities can grant a property tax exemption on apartment buildings that offer 20 percent of their units at rents affordable to households earning 80 percent of the area median income. It’s an indirect way to use property taxes to fund affordable housing, because all other taxpayers pay a little more to cover the tax exemption’s forgone revenue. The current provision expires 12 years from building completion, at which point the subsidized homes return to market-rate rent. The bill would extend the expiration for another 12 years to keep homes in the program longer. The City of Seattle has permitted over 8,500 affordable homes through the tax exemption program since 1998. A related bill, SB 5366, would allow every city in the state to take advantage of the property tax exemption, extending eligibility to smaller cities to which the current law does not apply. A real estate excise tax (REET) is tax on real estate sales. Two REET bills would authorize cities to enact new flat rate REETs for the sole purpose of funding affordable housing: one proposes a 0.25 percent rate and the other a 0.5 percent rate. In 2016, City of Seattle analysts estimated that a 0.25 percent REET would annually raise $15-20 million in Seattle, or about $1 million in Edmonds, for example. The drawback of REETs is that they can raise home prices. To minimize that, Sightline recommends exempting new construction. Seventy percent of the revenue exceeding what would have been raised under the existing flat rate REET would go to the state’s Housing Trust Fund, and the rest to the General Fund. In addition to providing more funding for subsidized housing, the bill would also help affordability by shifting the tax burden from lower to higher income buyers and sellers. Note: this will be a budget request, not a bill. 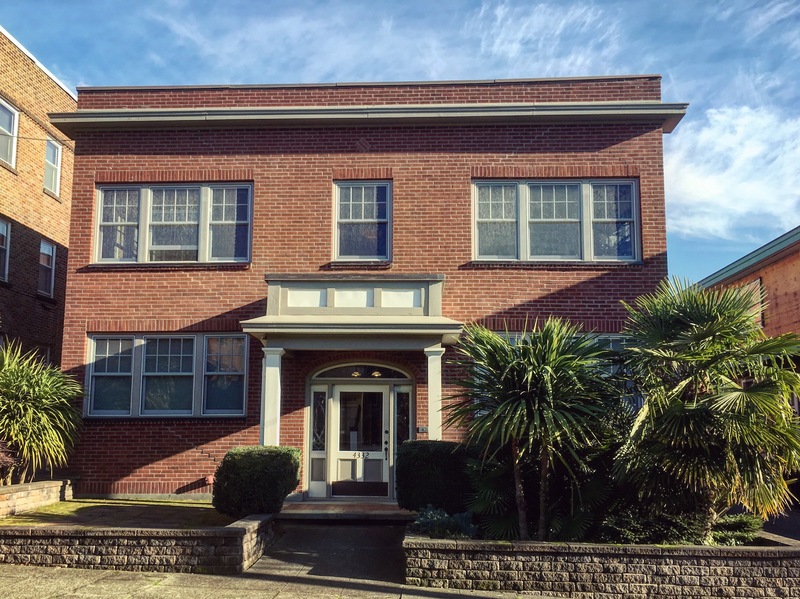 Washington’s Housing Trust Fund provides funding for affordable housing projects through a competitive application process, and since 1986 has invested $1 billion to help create 47,000 homes. In recent years, the state has allocated around $100 million per year to the Trust Fund. Doubling the funding would help address the growing shortage of affordable homes statewide. 120 days notice provided if the owner wishes to take the unit off the rental market or renovate or demolish the building. The key change this bill would make is to extend the “pay or vacate” waiting period from three to 21 days (or to 14 days in the Senate version of the bill). Under current law, when tenants are late paying rent, after landlords notify them in writing, tenants have three days to pay up before the law says they become guilty of “unlawful detainment,” which sets in motion the formal eviction process (though at this point landlords still commonly settle with their tenants without pursuing eviction). The bill would also give courts additional discretion to halt evictions, ensure that continued tenancy depends on the payment of missed rent and not on other accrued fees, and establish a procedure for payment plans. This bill would require landlords to provide tenants with 60 days written notice prior to any rent increase. Washington state’s early release voucher program gives temporary subsidies for rent to offenders who qualify for early release from prison. It promotes successful transition back into the community. The current program offers $500 per month for three months. The bill would extend that period to six months. Those starting over after prison are among society’s most vulnerable to a lack of affordable housing. Extending the period to a full year would help even more. Note: this will be a budget request, not a bill. Washington’s HEN program provides rent and utility payment assistance to extremely low-income people with physical disabilities or mental illnesses. High rents heighten the risk of homelessness for these vulnerable populations. HEN’s support keeps people housed as they transition either back to work or to Federal programs. The legislature has not raised HEN’s budget since it created it in 2011. Previous article in series: « Can Washington Pass the Country’s Most Ambitious Statewide ADU Reform? Your description of HB 1923 and HB 5424 make me a little nervous about weakening environmental reviews and making it harder to use environmental protections to build housing and increase density. What are the pros and cons of doing this? Before reading the above note, I also noted the issue concerning weakening environmental reviews and making it more difficult to utilize environmental protections. Environmental review for land use is an issue that must be fundamental to any housing/building review. Environmental review has its place, but for homebuilding in urban areas it can often do more harm than good, because the broad environmental benefits of creating compact green cities don’t count in typical reviews. The so called tenant protection laws would have such a chilling effects that would negates much of the effect of all other bills. It takes a lot to acquire a rental, and for most, it is their life savings. It is their private property and they are simply being diligent to be caution and protective. Those proposed laws are written to so negatively to vilify landlords and create a real risk that it to take their life savings with missteps. They still need to pay mortgage and ever increasing property tax. I really don’t know how many small landlord will continue in the business if they are passed as is. These new protections are exactly what landlords want. The delay in the eviction process and the time increase for rent increases means that people have to be extra qualified to get a lease. Moreover, these increased costs and delays will cause an increase rent including a percentage for profit. The legislature should be congratulated for once again effecting the opposite of what it intends. “For finishing the problem of homelessness the state of Washington presented the eye-catching affordable bills. The law of an exotic house is really astonishing. To solve the problem, there are three points offered. There are some informative researchers on http://www.evictiony.com who are helping in updating readers about affordable housing. There are three solutions to one problem. Those are developing more homes for them, generate more funds and last but not the least is the security of residents. Creating more options and making more funds along with the security of the tenants. No doubt, its amazing work. I find the discussion about housing needs very frustrating and ignorant. I feel for those people who are paying too much for far too little miles away from their job. This is caused by the total lack of analysis of data concerning housing that exists across this state. I know this because in the late 1970’s I spent over two years as Vice Chair of a Committee developing housing policy for as part of General Element in a California county. A study of the housing element includes inventory of present housing, age of present housing, ages of inhabitants of present housing, and projection of needs based on the census. This type of study identifies the ages of individuals already in housing and ages of individuals migrating in order to identify the types of housing needed. In order to provide any adequate solution to the present crisis such studies are an absolute necessity. Thanks to RealNetworks Foundation for supporting a sustainable Northwest.